Like a lot of homeschool families, we include Bible studies and reading during our homeschool day. This year, my 11-year-old is making a portfolio of his work as he goes along. I’ve found that doing a portfolio (as children get older) makes it more likely for the information to “stick” in their brains. So…I realized that although my 11-year-old is reading through various books of the Bible and doing related studies, we didn’t really have anything to put in his portfolio to jog his memory of what he’s been studying, and we didn’t have anything to give us a nice little overview of each book of the Bible as he comes to it. 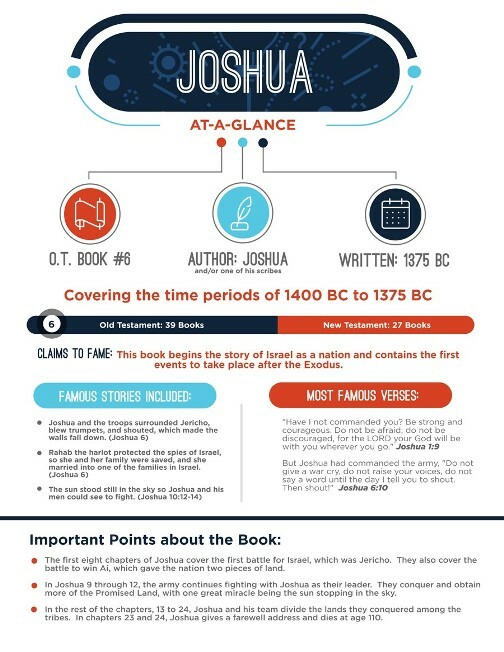 The last thing my boy wants is extra writing assignments, so I needed something that would be a convenient and succinct summary for each Bible book he covers. Before I gave them to my 11-year-old, I went ahead and read through all the pages to get an idea of what the content is. 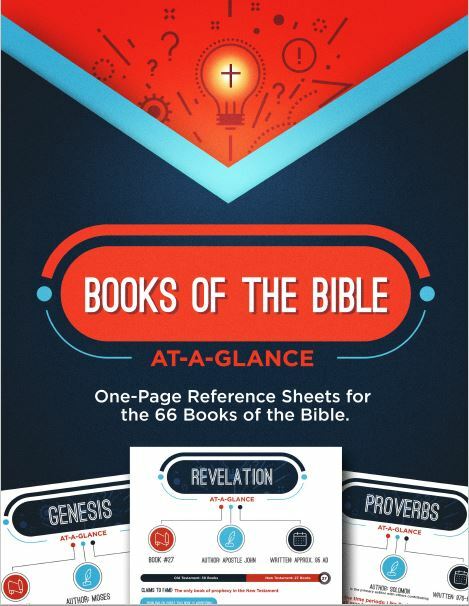 The downloadable .pdf of Book-By-Book Bible Printables has a printable one-page summary for each book. Each sheet says standard study information about one book of the Bible: Author, time period, most famous verses, the intended audience, and the intended purpose. I decided to print all of the books at once, and you can see the stack in the pic above. I like to place all of my children’s consumable items into folders in a file cabinet for them, then grab what I need throughout the school year. In our case, so far my son has gotten to add the quick Bible reference sheets for the book of John and the book of Psalms. See the pic below where they are inserted into his portfolio? I don’t stick all of his portfolio work into plastic cover sheets, but in this case I did because they are getting referenced each day as he reads a verse out of that book. Stuff that gets referenced every day, like these sheets, gets placed into a protective sleeve so that it can last through the weeks. My kids don’t read through a book of the Bible very fast, so in the past few weeks my son has had a chance to go through just two of the quick-reference sheets. Referencing them is quick and painless and gives him a nice “memory jog” so that can internalize his studies. It’s going to take him quite a while to get through all of these books, but that’s ok. It’s nice to have these to add to his portfolio.